The Carrot Dating app aims to cut to the chase by letting you 'bribe your way to a date'. Find someone you like? Just dangle a carrot and you’re on a date. Carrot Dating takes you directly to the first date. Don’t waste time messaging people who wouldn’t give you a second chance, just offer a date! Will it be dinner or dessert? Flowers or chocolates? Travel or shopping? The choice is yours. ● Browse for beautiful and amazing singles near you. ● Break the ice without wasting time messaging. ● Enjoy real time communication with alerts when someone is interested in you. 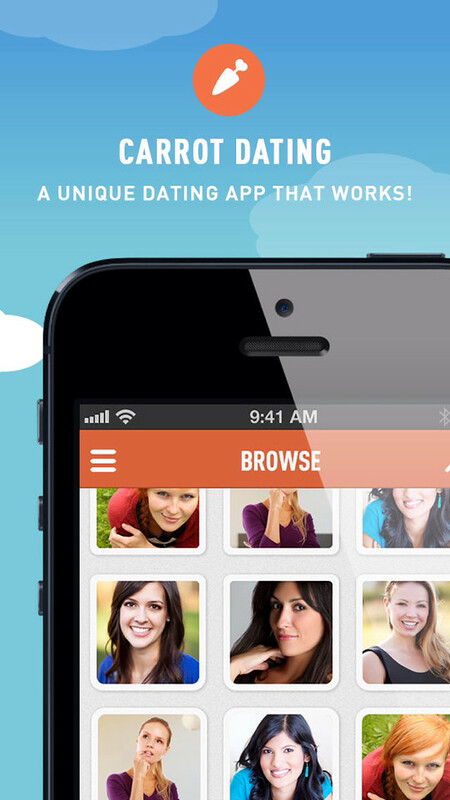 You can download Carrot Dating from the App Store for free.